One of the three big London art fairs in the capital during Frieze Week in October, Moniker Art Fair shows the international scope of street art and beyond. For its 10th edition Moniker returns to the Old Truman Brewery, a 30,000 square foot space which makes it the largest contemporary art fair with its roots in urban culture. This year they're reducing the number of galleries exhibiting from forty to thirty, allowing more room for gallery stands from the likes of Stolen Space, RISE and Jealous Gallery here in the UK as well as international galleries like Thinkspace Gallery from California, Station16 Gallery from Montreal and Gallery Itinerrance from France. While Frieze showcases established names, Moniker champions emerging talent. What are the best dining options near Moniker Art Fair London? Moniker Art Fair gyms, sporting activities, health & beauty and fitness. The best pubs near London Moniker Art Fair. Moniker Art Fair clubs, bars, cabaret nights, casinos and interesting nightlife. 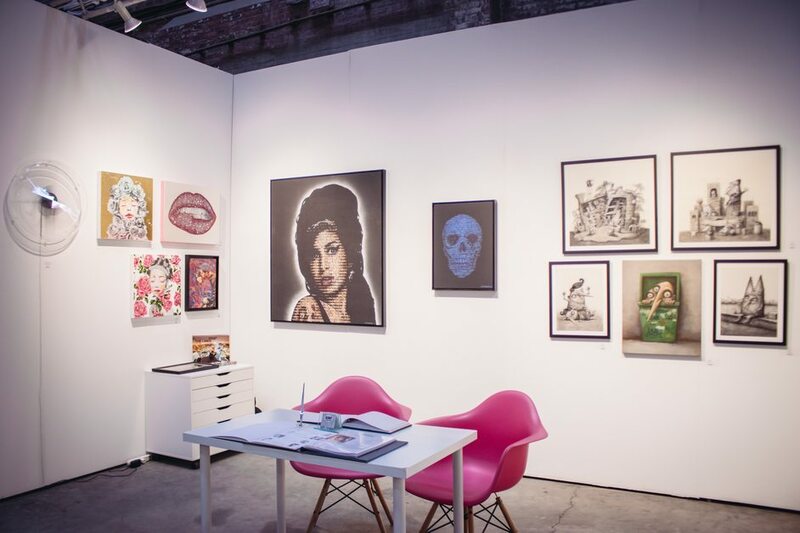 Where to have your meeting, conference, exhibition, private dining or training course near Moniker Art Fair. From cheap budget accommodation to luxury 5 star hotels see our discounts for The Old Truman Brewery hotels, including South Place Hotel from 39% off.